Everyday Australian’s and people around the world reflect on their daily lives, trying to find new hacks and ways to better their health, mindset and overall selves. One theory often recommended by therapists, dieticians, and teachers is “making healthy switches.” Perhaps you want to lose some weight: Switch from full cream milk to skim milk. Maybe you’d like to better your mind: Switch from watching a tv show to reading a book. I’m now able save money, as this one glorious tube actually repairs my lips, rather than dehydrating them, resulting in an expensive cycle of re-buying unhealthy, addictive products that DON’T help my skin and DON’T help the environment. The combination of Australian Papaya & Shea butter produce a rich, nourishing, skin loving product that is great to use on lips, cuticles, heels and dry, irritated skin. P’ure has taught me the importance of conscious shopping. Buying products that last long, actually do what they advertise (soothe, nourish and protect) and overall make a productive and positive impact on the world around me. 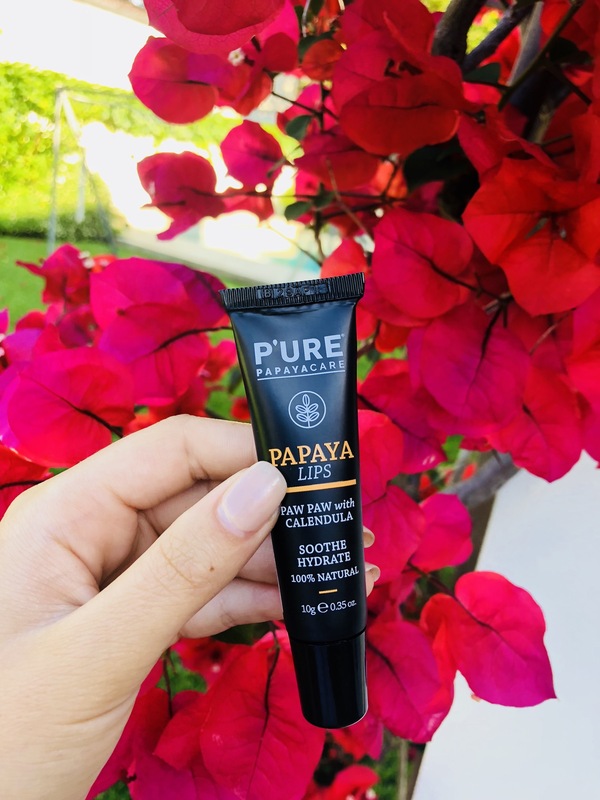 Switching to P’ure Papaya products has helped my skin, my wallet and my overall natural footprint. Plus, there’s nothing better than that feeling of applying P’ure’s magical cream on my lips or any dry skin for that matter!